From leaps in artificial intelligence to cloud services and automation, digital technology has already played a leading role in the evolution of the legal sector. A profession once known for sticking with traditions, the law firms of today are an entirely different beast to those we knew at the turn of the century. Nevertheless, findings from a recent report published by the Law Society of England and Wales revealed that the sector still had far to go in its journey towards innovation. While there is mounting pressure for firms in the sector to enhance their use of LawTech in order to drive greater efficiency and address the challenge of increasing workloads, significant barriers to adoption still remain. The billable hour is just one of these barriers, a fee structure that is still the dominant charging mechanism and one that has, according to the report, stood in the way of adoption of new technologies in the profession. Highly restrictive in nature, the billable hour can in some cases leave lawyers no time to explore new tools and learn new skills; it can instil a ‘work harder, not smarter’ mentality that can be highly detrimental to a firm’s ability to innovate. What’s more, the billable hour has come under fire in recent years as it transfers all risk to the client: at the point of instruction, the client places complete trust in their lawyer’s work-rate rather than their quality. 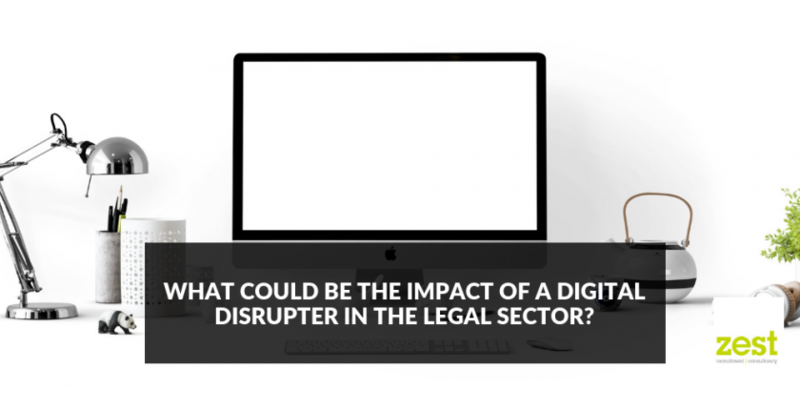 While there has been an increased in alternative pricing mechanisms, the legal profession is long overdue digital disruption as a means of moving away from this model. Of course, this isn’t the only barrier to technological innovation. Despite regulatory change opening the doors to a new breed of legal service provider, partnership models remain the most prevalent business structure in the industry, a model which the Law Society claims creates a high bar to adoption of LawTech. Just like Uber for transport and Just Eat for food delivery, a digital disruptor in the legal profession would naturally be met with apprehension. While it cannot be denied that meeting client expectations in an always-on society demands adoption of certain digital technologies, it’s certainly harder for a law firm operating on a traditional model with significant overheads to completely overhaul their operations and approach than it is for alternative providers such as virtual firms to harness technology to their advantage. Already, law firms have faced new competition in recent years in the form of online legal services that offer highly transactional, online support in areas such as Conveyancing, Divorce and Will-writing services – not to mention the rise of the virtual law firm whose overheads are so minimal they can afford to splash out on the latest tech in the market. With this in mind, it’s not hard to see why the so-called ‘Uberfication of law’ has been met with scepticism by many, these agile start-ups foreshadowing a new era that could be seen as a move away from high-quality, specialist legal advice to off-the-shelf, on-demand digital solutions. For traditional firms, the need to educate the market on the differences between online services and the value added by a registered legal practice is critical in retaining the competitive edge – however, that isn’t to say there’s nothing they can learn from new entrants. While rebuilding the foundations of your firm to improve agility and meet client expectations can take time, finding ways in which LawTech can help to lower overhead costs and improve access for clients will make for a great start in a digital future. Just as we expect Uber to get us from A to B and complain when a takeaway we ordered through an app is a mere minute late, we expect lawyers who are responsive to our needs. While we expect realistic costs, we primarily pay for efficiency, convenience and quality. traditional firm to position themselves as the right choice; a safe pair of hands who had moved with the times to deliver a modern service that exceeds client expectations. If they are to achieve this status in a landscape characterised by diverse competition, however, they had best begin seeking ways to innovate before it’s too late.